One of our customers recently said, "Redneck Street Rods is the Rolls Royce of fiberglass bodies..." Redneck Street Rod kits offer premium replica street rods. Whether building a 32 Ford kit car, 33 Ford, 34 Ford or customized version of Ford street rod kits, our team helps build your dream street rod. Call for one-of-a-kind Redneck Ford kits or street rods for sale. We'll quote car body kits and help build your street rod kit car. Redneck provides custom street rod kits and street rod parts with fiberglass bodies for Ford kit cars. In addition to our car body kits, we also provide custom chassis. 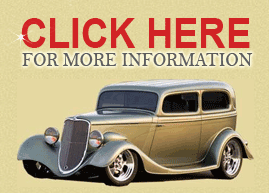 Our fiberglass body street rod kit cars have features not available from competitors. Customize our Ford street rod kits to your specifications. Call for a 32 Ford kit car or move into other styles. We're known for highest quality and service in the industry. No time to build a Redneck hot rod? We can build your Dream Ride for you..
With Redneck Street Rod kits you get superior Ford kits. From 32 Ford kit cars to the 34 Ford, our Ford street rods are created to last. Whether a street rod kit car or street rods for sale, the structural integrity of our products is superior. Our Ford street rod kits' materials are top-of-the-line. From Redneck 32 Ford kit cars to individual street rod parts to street rods for sale, customize your fiberglass body rod with unlimited options and free consulting. How does the quality of Redneck Street Rod kits compare to competitors? What types of Ford street rod kits do you offer? Do you offer a 32 Ford kit car? Do your 33 Ford kit cars include a Cabster? Do your 34 kits cars include a coupe?